Sign up for Broadjam today to follow Niki J Crawford, and be notified when they upload new stuff or update their news! The Genesis Block EP out now. 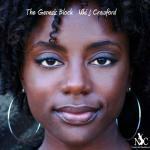 https://itunes.apple.com/us/album/the-genesis-block-ep/id958765159 "Niki J. Crawford's first EP titled the Genesis Block is carried by soaring and multi-layered vocals, her most fully realized work to date that is finely attuned and anchored by the type of rhythmic instrumentation that allows her range and depth to be heard in its finest hour. The songs are rooted in unabashed free expression with profoundly selfless lyrical compositions usually reserved for the most mature of songwriters. Each track teeters on themes of romance and conceit while remaining heartfully optimistic throughout the final verse".